Emergency room wait times can be rather lengthy and unpleasant. The average wait time from the point of arrival in the emergency room to the time a patient sees a medical professional is almost one hour. There are several factors that influence the amount of time a patient waits to see a physician or nurse in hospital emergency rooms. The location of the emergency room. Urban area emergency rooms had average wait times of 62.4 minutes, while non-urban ERs typically had 40-minute wait times. The number of patients seen daily in the emergency room. Patients wait considerably longer in ERs that see higher patient traffic. This correlates with the longer wait times in urban area hospitals, due to the corresponding higher number of people in need of emergency care. The severity of your emergency. Patients with life-threatening injuries or conditions will likely take top priority for doctors and nurses. 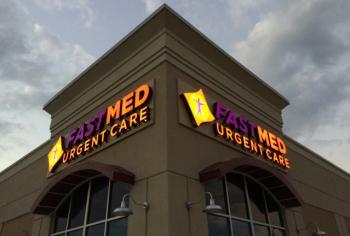 At FastMed Urgent Care, our goal is to get patients in, treated and on their way in under an hour. We are the quicker, more cost-effective alternative to the emergency room. No appointments are necessary, and we are open seven days per week. (Holiday hours vary; please visit FastMed.com for hour s of operation by location).. Just walk right in when you need medical attention, and a member of our highly-qualified medical staff will see you promptly. Every FastMed location is equipped with on-site labs, digital x-rays, and EKG equipment to handle any non-life-threatening emergency without the long wait times of an emergency room. We also accept most major insurance, including Medicaid and Medicare, so consult our insurance page to confirm your plan is accepted.